Two types of skin that have lots in common are oily and combination skin. But how do we really determine whether our skin is oily or combination? 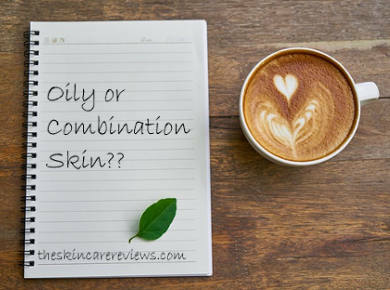 Here, we will give you all the necessary guidelines to determine what your skin type is between these two as well as some tips to take care of oily and combination skin the best way. Visible or enlarged skin pores. 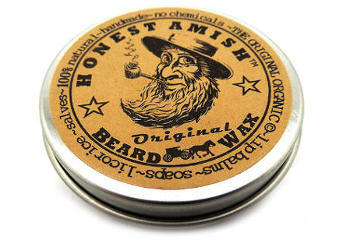 Shiny skin with a feeling of oiliness that is particularly intense in the areas of the forehead, nose and chin. Thicker complexion that looks dull. Oily skin is one of the trickiest and most difficult skin types to handle. One might assume that oiliness can disappear once their face is cleansed but this is not the case since most people with oily skin admit that even soon after their morning cleansing routine, the sebum of their skin is visible again and becomes even more visible and disturbing within few hours. This condition can become even more troubling when one is wearing makeup. So, what can we do to prevent oily face as much as possible and keep the oiliness under control? The notion that the best way to remove oil from the skin is by using strong cleansers that leave the skin squeaky clean is simply not correct because by using harsh cleansers, you also remove the natural oils of your skin that are very much needed for every type of skin including oily skin. The problem is that if you remove all the oils of your skin, you can trigger even more oiliness because the skin always needs to be naturally lubricated as a kind of natural defence and protection. So, by removing all the oils from the surface of the skin, the natural skin balance gets disrupted and the skin starts producing more sebum to cope with the losses. In this case, you need to find a good quality gentle cleanser that is specialized for oily skin. This is not an easy task but it is worthwhile finding that right product that will keep your oiliness under control and your skin more balanced and less irritated. Cleansers that contain AHA acids such as Glytone Daily Facial Cleanser are perfect for this purpose. You can also benefit from Salicylic Acid Face Washes that are also good for acne. Exfoliation is a crucial step in the skin care routine for oily skin because oily skin´s pores become more easily congested which can in turn lead to other problems such as the appearance of different blemishes like whiteheads or even trigger acne breakouts. By exfoliating the skin, we remove all the unnecessary sebum and dead skin cells from the surface of the skin revealing a more clear and rejuvenated surface. Apart from AHA acids that you can look for in the exfoliators you aim to buy, you can also look for BHA acids that go deeper into the skin such as salicylic acid. Along with exfoliators, skin cleansing masks can also provide you with some very good results relating to oiliness and blemishes. Natural cleansing masks that have proven to be effective for oily skin are Dead Sea Mud Masks as well as Rhassoul Clay Masks and Activated Charcoal Face Masks. There are a lot of people with oily skin who believe that their skin does not need any moisturizer or are hesitant to use one due to fear of triggering more oiliness to their skin, but this is actually a damaging attitude towards oily skin. All types of skin need moisturizing and oily skin is no exception. The only thing to keep in mind is that different skin types need different moisturizing formulas according to their special needs and conditions. In the case of oily skin, an oil-free moisturizer that is free of ingredients that block the pores would be ideal. The problem is that before you find that perfect moisturizer for your oily skin, you may need to try out several products and check out their reaction on your skin since it is most of the times difficult to find a good moisturizer for oily skin. For outdoor use, you will also need a lightweight sunscreen moisturizer that is suitable for oily skin. And don´t forget that natural oils such as jojoba oil or rosehip oil are also great for oily skin types. The difference between oily and combination skin types is that while in the case of oily skin, the oiliness appears on all areas of the face, in the case of combination skin, it mainly appears on the so called T-zone which includes the forehead, nose and chin areas. On those areas, pores also look enlarged while often times the area of the cheeks appears dry or dehydrated with symptoms of itchiness or even peeling skin. Sometimes, symptoms of combination skin can be triggered by the use of inappropriate and often times irritating products that stimulate the sebaceous glands which then start producing more oil. These products can also damage the hydrolipid film of the other areas of the face, causing intense dryness or dehydration. Similarly to oily skin, Combination skin needs effective cleansing that neither strips away the skin´s natural oils nor does it cause irritation or trigger blemishes. 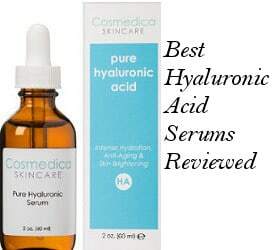 In this case, AHA acids also work great for cleansing combination skin because they are effective and gentle at the same time. Besides, another gentle way to remove makeup is using a Micellar cleansing water which easily removes excess sebum, grime and makeup without disrupting the skin´s pH levels. Toners can really make a difference in the appearance of oily and combination skin, minimizing oiliness, preventing blemishes and keeping the skin clean, better hydrated, toned and more firm. But when talking about effective and beneficial toners for oily or combination skin, we don´t mean those full of alcohol toners but therapeutic and skin friendly toner versions. For my prone to blemishes skin, Rose Water Toner and Toner with Rosemary have worked great at boosting my skin´s health and keeping it less oily and clean. Another good option for minimizing skin pores, preventing blemishes, reducing oiliness, balancing the pH of the skin and soothing skin inflammation is Witch Hazel Toners. Due to their low molecular weight, BHA acids are perfect for deeply cleansing your skin, as we have already mentioned before. Therefore salicylic acid exfoliators stand out due to their gentle exfoliating and skin cleansing properties. 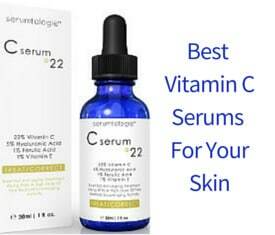 There are a lot of skin care products that can balance oiliness in the skin such as serums, lotions and moisturizers. Personally for my prone to blemishes skin which has a tendency to becoming oily in the T-Zone, I like using natural purifying masks, rosehip oil for the night which works best if combined with a good retinol cream, a rosemary toner, certain serums as well as lightweight but effective moisturizers. People also like using Acne Drying Lotions such as Mario Badescu Acne Drying Lotion. In conclusion, oily and combination skin types are one of the trickiest as we have seen, and one may keep on elaborating about the skin care that works effectively for these two types and about the products that best suit their needs and demands.